TDR stands for Timeout, Detection, and Recovery components in Windows. It’s supposed to be there to help stop BSODs by resetting the GPU and/or driver when there’s an issue of long delay. You may need to install the latest updates for your display driver, so that it properly supports the TDR process. Visual effects, or too many programs running in the background may be slowing your PC down so that the video card can not respond as necessary. The problem here is with the GPU drivers. They haven't been fixed since the day these APUs came out. They cause BSODs, slow OpenGL performance, visual distortion, and full on crashes requiring shutdown via reset button or holding the power button. - Fixed when I selected 8bit (adjusted from 10bit) color in Radeon Settings.Even better when I selected 4:2:2 in HDMI output. - Noticed in Event Viewer that before every Kernel-Power BSOD there was 'EnhancedStorage-EhStorTcgDrv' which could be a problem with the crucial SSD I'm using. Not sure if other AMD Ryzen APU users are having the same issue. EDIT: 08/24/2018 - Deleted the last link due to Unsafe ratings from Web Of Trust about downloading their software. I think I might be wary of downloading that software on that page they promote. As we already discussed in another thread. The other written advice seems sound. As you can see this isn't a hardware problem. The Raven Ridge APU AMD drivers are known to have issues with Direct X 9 and Starcraft II displays this weakness. However it's not just DX9. Quake Champions can also be used to reproduce the same issue, although only when I'm pushing the RAM clock. That is to say, the issue hiccup in which causes the TDR failure because Windows is unable to push through the pause in iGPU response when using the drivers to address the hardware is sensitive to RAM speeds. Following up here. I purchased QVL RAM which is more stable at 3200Mhz than either of the other more expensive G.Skill Hynix or Corsair Samsung B-die RAM kits I've tried. Unfortunately, I can still reliably reproduce VIDEO_TDR_FAILURE running Starcraft 2 on Windows 10. Thanks for encouraging me to try again at SOC. Unfortunately it didn't create stability in this particular use case with 1.1 or 1.15 SOC, even with 1.4 on DRAM. 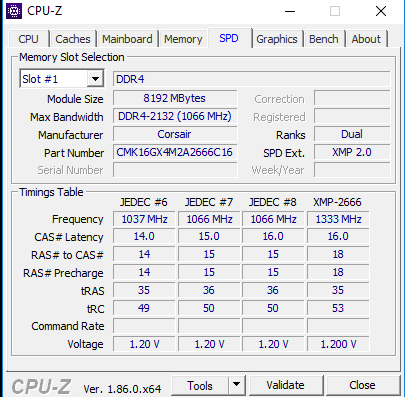 Right now I'm running the Patriot Viper memory listed on ASRock's QVL and XMP 3200 is thankfully stable for Quake Champions and a myriad of other use cases with benchmark scores and fps appreciably improved over the more expensive but less compatible RAM i started with. Anyhow, the 2400G is a marvel of a CPU, I'm loving that I can get 50fps in QC without a dedicated GPU, just amazing. Edit: I want to mention that I reconfirmed that with 2133 as a result of the Auto configuration in the BIOS for RAM, it's stable in StarCraft 2. Also my core voltage is actually underclocked at 1.35v with my GPU at 1.2. Unfortunately I was not able to observe the change in SOC via HWMonitor when going to SOC of 1.1v. I read somewhere it's VIN4 but that's 1.85. I also read there is an offset, but couldn't guess which VIN and wasn't sure the offset was something like .3v? In any case, without a good way to check it, it seems 1.1 to 1.15 is safe and tried those to no avail. did you also tried to set ram resistance corretc? Still not solved. Will AMD ever respond? What is the MAKE & MODEL Number of the RAM MEMORY you have installed. SPECCY indicates UNKNOWN with 15 gigabytes of RAM MEMORY. I copied my SPECCY RAM DATA to compare to yours. Yours doesn't indicate SPD Modules installed. My does. I have four -4 gigabytes RAM Modules by Corsair. I have a feeling all your problems may be related that you don't have compatible RAM MEMORY installed. I don't know if this is because SPECCY can't read accurately DDR4 RAM MEMORY or not. Someone will need to upload their SPECCY RAM DATA that uses DDR4 and see if it says the same thing as yours. Plus you must have mixed Gigabytes of RAM MEMORY on the same Motherboard rather than have a Set. How do you get 15 Gigabytes of RAM MEMORY? The only combinations are One - 8 gbyte, One - 4 gbyte, One - 2 gbyte, and One - 1 Gbytes of RAM MODULES installed to get 15 gbytes of Total RAM MEMORY. Is you RAM MEMORY listed in the QVL List from here: ASRock > Fatal1ty AB350 Gaming-ITX/ac ? Ryzen CPU/APU are quite sensitive to the type of RAM MEMORY installed. It is very important that your RAM MEMORY is listed in the QVL list for your motherboard. Did you install a Set of RAM MEMORY or did you buy each RAM MEMORY separately? Not sure how he gets 15 gb of ram unless you have miss matched modules. Seems like you would have to have a 1 gb module and I don't think that they even made a DDR 4 module that size. Maybe it is just that speccy is incorrect on the unknown thing it does this to me too. I don't doubt he would have issues if what speccy shows is accurate. Below is what speccy shows for mine and it shows unknown too and my ram is very common GSkill ram. Followed by what CPU-Z shows. Hope it helps clear things up. It does clear things up a bit, but if you noticed, your SPECCY also indicates SPD and how many RAM Modules you have installed. The OPS doesn't indicated how many modules are installed and which DIMM socket like both of our does. The OPS SPECCY shows ZERO SPD Modules installed. The only difference between your SPECCY and mine is the TYPE: in which in yours it shows Unknown but accurate amount of RAM MEMORY installed. So, either the RAM MEMORY the OPS is bad in which one is showing less than the full amount or his motherboard is bad or his RAM MEMORY is incompatible with the Motherboard and Ryzen. Thanks pokester for uploading your SPECCY showing your RAM. In answer to the question "Still not solved. Will AMD ever respond?" Possibly if you ever ask them. Unfortunately if you think you are asking AMD in these forums that is not correct. These are USER to USER forums. You are not asking AMD, only other users like you for their input. In some rare cases one of the only 2 AMD mods, not driver development guys may get involved in a discussion. I'd say it's maybe a 1 in a 1oo chance. So if you need help from AMD you need to contact them the only way they allow us to and that is with a Support Ticket or Issue report. These are available in Radeon Settings, the contact page and or the driver download page. The life of AMD. LOL. It's crashed less recently but still annoying. As for the Speccy information.. I think it's just a bug in their software. I think it has possibly something to do with the RAM you choose honestly. I'm sure it's a microsoft + amd problem though. yesterday I wanted to go a liitle bit higher so I tried 1525 Mhz @ 1.181 GFX voltage, after 2 hours of playing Paladins I got TDR video failure so I dialed it back to 1500 Mhz @ 1.168. 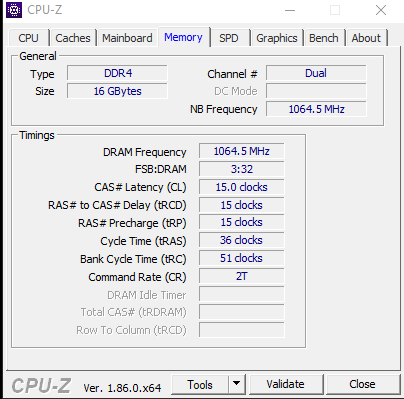 I got my RAM to work Stable at 3200 Mhz 16 16 16 32 52 2T by using Ryzen DRAM calculator and put the timings manually, also DRAM voltage is @ 1.36 voltage. What you want to try is: Set a fix voltage for the GPU portion of you don't wanna overclocked (btw getting the RAM to work on high frequency with tight timing is more important and beneficial for GPU performance. 5466, 5462, 5463, 5467, 5466, 5468, 5459, 5465, 5466, 5464 (those numbers are how many frames during the entire Benchmark. So try increasing the frequency on your GPU portion and pump a little bit of voltage there and you'll be fine. open AIDA64 and open the Stress test tool. uncheck all the options and then recheck CPU and GPU, if you got a message after checking GPU saying that the TDR delay is too low then click yes to let AIDA64 fix it and then reboot the system. Another option is to locate the key and set the value to 10 Decimal. This Method worked for sure. I don't know if this has been covered but from personal experience with the problem, I concluded that it might be a problem with how much ram the system is taking or not taking. I own a 2200g and with intergrated graphics it only contains about 200mb of vram which is to be expected for intergrated graphics. Since it doesn't have very much vram typically it should take system memory which is way slower and may be why the error message video tdr failure pops up. 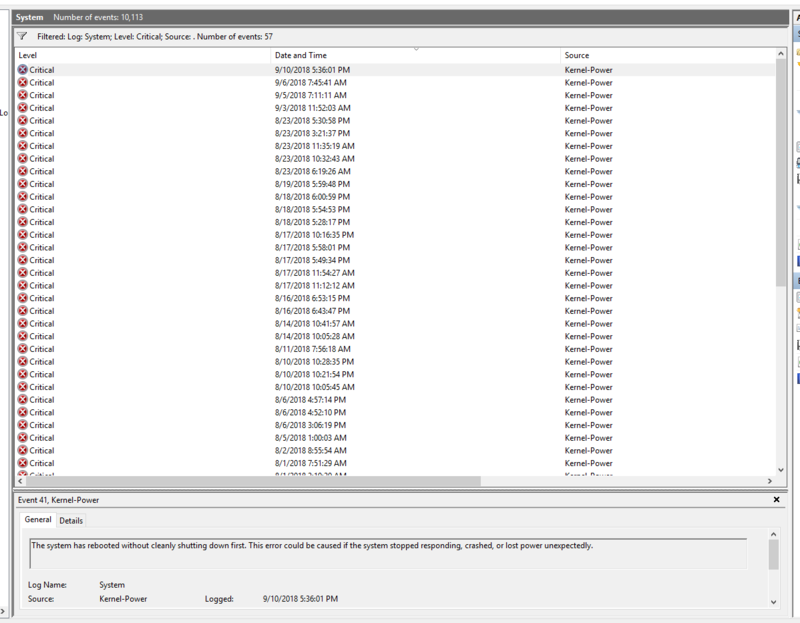 I would run a game then open task manager to see that I had 4gb of available shared memory and my system was using none of it but this wasn't always the case when my game didn't crash the moment I opened it I would check task manager and it was in fact using the system memory fixing the problem for the couple hours I was on my pc but the next day the same issue would occur making it really unreliable. This may be a problem with system ram or a faulty apu if that is the case shame on amd. The only possible way I see this error being fixed is if you buy a dedicated graphics card with at least 2gb of vram. I suggest you take a look yourself and open task manager and decide for yourself if this is the problem I am not claiming this is the true explanation but it may be and hopefully this will help you. Yeah it thought it was fixed but it's still crashing... lmao. what a nightmare. APU + Chip set drivers are up to date as well AND using memory on the QVL list. Re: Video TDR Error atikmpag.sys with Ryzen 5 2400g. Drivers are up to date and so is windows drivers. How can I fix this.